In observance of Law Day, May 1, 2017, Legal Aid of Arkansas is proud to recognize Bill Waddell as an Outstanding Volunteer for Medical-Legal Partnerships for his dedication in helping Arkansans in need receive legal assistance. This award is given by Legal Aid of Arkansas to celebrate attorneys who personify the ideals of volunteerism and professionalism. “My hope is that this recognition will bring positive attention to access to justice issues generally and to the medical-legal partnership in particular. Being named for working with the Clarendon MLP is also meaningful because the MLP work is so fulfilling.” Mr. Waddell is a member of the Pulaski County Bar Association, the Arkansas Bar Association, and the American Bar Association. Mr. Waddell recently wrote a children’s book, the Palindromic Pledge, which will soon be widely available for educational purposes. In addition to this award, Mr. Waddell recently received a 2017 American Bar Association Pro Bono Publico Award. 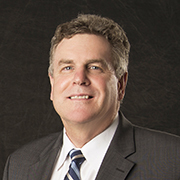 After graduating from in 1984 from UALR’s William H. Bowen School of Law, Mr. Waddell began working with Friday, Eldredge, and Clark LLP, in Little Rock. Mr. Waddell and his wife, Patty, have been married since 1978, and have three children, Jessie Teegarden, Grace Waddell, and Anna Waddell. Outside of law, Mr. Waddell enjoys traveling, reading, and church mission work.